In a little over two years Switch has amassed a huge amount of software - more than any Nintendo fan dared to dream after the slim pickings of the previous generation. Of course, this abundance of riches leaves us in something of a pickle - too many games, not enough time to play them all. In fairness, it's a very nice problem to have - Help! There are too many excellent games to choose from! To help you sort through the vast pile of software dumped on the eShop every week, we've assembled this collection of the 50 best games on Switch so far. We say we assembled, but in actual fact you are responsible for the titles that comprise this list of winners. As with our round-up of the 50 best 3DS games of all time, the order here is taken from the user ratings associated with Switch games on the site's database. This means that the list is fluid and the rank can change according to the rating. If you've previously rated the games, just sit back and enjoy. If, however, you've yet to give your personal score, clicking on each game's rating below will enable you to cast your vote and affect the list. Can't see your favourite? Head to our library of Switch games (click the games tab at the top of the page) and input your own ratings. A game needs a minimum of fifty ratings to become eligible, so it's entirely possible to influence the ranking and get your favourite games onto the list. 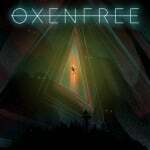 A genuinely creepy creation, Oxenfree combines a clever story and smart dialogue mechanics with superbly sinister music to leave a deep and lasting impression on the player, one that should encourage an all-important second playthrough. Fans of Stranger Things and Poltergeist will love the direction this game takes – if not to hell and back, exactly, then absolutely to some other place where horrors abound, just waiting for an invitation into our world. It’s yet another Switch essential. Recent Mario Party games have had a somewhat sterile feel to them, but with Super Mario Party that simply isn’t the case. 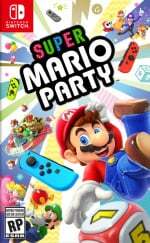 This isn’t a cash-grab with Mario's face on the front; this is a well-constructed and beautifully realised Mario Party game which takes the series right back to its roots, but without being a straightforward rehash. There are a few interesting ideas that feel a little bit underdeveloped, but on the whole Super Mario Party is a true return to form. 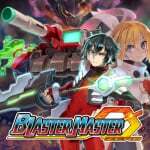 If you are looking for something new, we highly recommend Blaster Master Zero; it's a great homage to the original and one you will have a blast (sorry) playing. 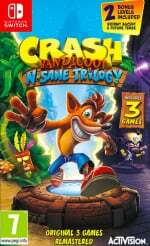 Crash Bandicoot N. Sane Trilogy is a ruthlessly faithful recreation of some of the earliest successes in 3D platforming. Levels are slick, gorgeous to look at, and recreate the feel of the originals superbly. Newcomers to the series may be put off by the steep difficulty spikes and little to no explanation of some of the finer mechanics. All the fun and the foibles of the original three games are here, for better or for worse, and despite some odd design choices it still manages to be a really enjoyable retread of some old classics, warts and all. This is definitely worth a look if you're a fan of 3D platformers, but just as was the case back in the '90s, Crash isn't in quite the same league as Mario when it comes to playability, inventiveness and entertainment. If you're after a nostalgia trip, though, it's tough to beat. Shantae: Half-Genie Hero has never been better than on Switch; the enhanced versatility of the console lends the game a new sort of appeal and convenience that wasn’t there before. This is a charming, colourful, and sometimes challenging Metroidvania that will no doubt prove to be a memorable addition to your collection. While it could be a little longer, we would give this one a strong recommendation to anyone that hasn’t yet picked it up for the Wii U or any other platform. For those of you that have, know that you’re essentially just paying for the ability to play this on the go, but that’s still arguably worth the asking price. Either way, this is the most polished Shantae game yet. 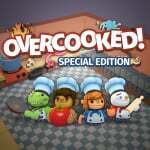 Overcooked is an absolute must-buy for anybody looking for a fantastic party game to play with friends. The wacky visuals and chaotic gameplay make it an ideal game for local co-op, and there’s plenty of content to work through. We still give this one a strong recommendation overall, even if the sequel has stolen its thunder to a certain extent; it's a more compact experience and a title that perfectly nails what makes local multiplayer games so fun. 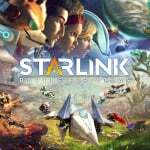 With its exclusive use of some substantial Star Fox content, you’re getting the best version of Starlink: Battle for Atlas on Nintendo Switch. And with a more accessible and ultimately enjoyable version of No Man’s Sky's gameplay mechanics and Mass Effect’s original vision, you’re getting one of the best dogfighting/space exploration games you can buy outside of Elite: Dangerous. Its gameplay loop does run out of steam after a while thanks to the required grind, but with a surprisingly ungreedy approach to content access and toys-to-life integration, Starlink makes you think there might be some life in the genre yet. What happens when you throw arguably the two most popular falling block puzzle games in a blender? 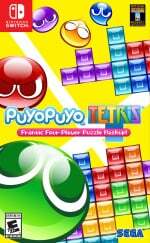 It’s a miracle that the result wasn’t a horrible, horrible mess, but Puyo Puyo Tetris mixes the two so confidently that it doesn’t occur to you how catastrophic this cocktail could have been. Sonic Team respects the fundamentals of each series and offers a rock-solid game of both, but isn’t afraid to have fun stirring them together. There’s a bevy of multiplayer options for up for four people, and everything is presented with a vigour and verve which belies the decades-long history behind both puzzle genre titans. The Story mode is… well, it’s a bit nuts, but it’s there if you want it (we were glad for the skip button). More importantly, the wealth of modes available means aficionados of either series have more than enough to occupy themselves with. In fact, it’s possible to pretty-much ignore your least favourite, but that would be a great shame; this is a glorious firework of a crossover, uniting puzzle fans of all creeds and it shines very brightly on Switch. 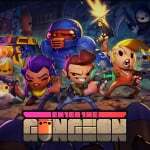 Enter The Gungeon is a brilliantly tactile, endlessly replayable twin-stick roguelike that sits right up there with the very best indie games on Nintendo Switch. With satisfying combat, random levels, and an endless supply of inventive weapons, items and secrets, it's always a total joy to play. Yet another modern indie classic has found a natural home on Nintendo's console. I assumed it was going to be BOTW in first place but I was still curious to see if MKart or Smash got up there instead. It’s a good list and looking forward to seeing what might be able to top it this year.. or next! I wouldn’t say no to a Wave Race...or Dirt Rally.. we need a great racing game (non-kart). Good Lord! It really jumps up on you how good the Switch library is. 20 of which are ports from previous gens. But still 30 are great new exclusive & multiplatform titles, I'm good with these numbers. It's great to see a few of my backlog titles on this list. It stops me looking ahead to my next purchase and helps me to realise that my unplayed games are to be savoured rather than "got through". Okay Axiom Verge, it's time. Neither of the Valkyria Chronicles games are on here? Half-Genie Hero instead of Pirate's Curse? I’m surprised Dark Souls Remastered isn’t on this list. I definitely don’t regret the 50+ hrs I spent in it last year. I definitely think this list is pretty great. The top 5 are definitely all correct. @TwoDeePxls I would assume that has more to do with people just not bothering to vote than anything to do with the game itself. I'm guilty of that. That's a really strong list of games after only 2 years. So many games missing from it too. Inside should be on there, it's an incredible game. Zelda easy win probably My personal favourite is Xenoblade Chronicles 2. Glad BoTW listed first as that was the showcase for the Release of Switch to show it's power and beginning. At least placing it 1st tells the story of Zelda and how popular it still is this long in it's history. Bayonetta is just one of those unique games that just drives to be played. I got Bayonetta Climax 2 carts and it's fun game and does alot in one go. @NintendoByNature I’d agree. Axiom Verge is good but not great. I was surprised to see it so high. I prefer Fire Emblem Warriors to it. @NintendoByNature Axiom Verge really took me by surprise, and it truly is a fantastic game. It's so much more than the Metroid clone I thought it was originally. Especially if the NES was your first gaming system, otherwise your milage may vary. That being said, I absolutely would have placed it lower than Splatoon 2 and Shovel Knight, if it were up to me. It's not a terribly long game, but it's also pretty cheap and goes on sale every so often. @roboshort @Desrever yea I hear it's a great game. But even above shovel knight?? Not too sure. I'll play it eventually but the messenger wasn't even on the list either 🤔. I Own 23 on the list. God I love my Switch! I’ll be buying Celeste then! Arms is way too low! Minus Celeste, which was a pleasant surprise, I successfully predicted the top five. Man, there's a lot of games that I really don't rate very highly at all in that list. More than half of them wouldn't make my top 50 or even top 100. At least Celeste is getting some of the recognition it deserves (should still be higher though). I really need to play Celeste at some point. Still hate the pixel art, but surely all this praise for it isn't entirely undue, right? @NintendoByNature I don't understand this site's profound love of Axiom Verge. It's a decent Metroid clone with some interesting mechanics, and that's it. I don't regret playing it, but it also doesn't really stick in the memory. I mean, yeah, opinions and all, but I genuinely don't understand it even being included, let alone being considered a top ten game. Especially when something genuinely fantastic like Mario + Rabbids is lower, and a number of other amazing games are omitted altogether. Great list, no surprises but a fun diversion and reminder to add several titles to my wishlist. Question: for Axiom Verge fans, it’s a game I’ve wanted to buy for some time now, but I’ve been reading about how the publisher has really screwed the developer and I’m worried that my purchase will fatten their pockets and not his. Do we know how that works? Do we have updates? @Ralizah I had the exact same hesitation on Celeste, but let there be no doubt this is a truly magnificent game. You will immediately forget your misgivings about the visuals when the narrative kicks in and you take control of Madeline. The controls alone are sheer perfection. Take those and add a funny, poignant story, pitch-perfect pacing, truly awesome sound and music, and the very best 2D platforming I’ve ever enjoyed, and you have a real work of art that begs to be experienced. I do think it bears closest relation to a work of art by a master. There is no element of Celeste untouched by genius and expertise and generosity. I realize I’m saying nothing new and just adding my voice to the chorus. An added bonus to me was this game getting me over my lo-fi pixel aversion to appreciate retro style games that are clearly labors of love and designed with the gamer’s experience a topmost priority. I hope you purchase and enjoy! So pleased to see Celeste so high on the list. It's possibly the greatest platformer I've ever played. It's the most perfect marriage of gameplay and story that I've had the pleasure of experiencing. Technically this is a list of 49 games. New Super Mario Bros U is listed twice. Number 30 and 31. Nvm it was just changed to Pokemon Let's Go. Good job Xenoblade, top 10 is the place you belong. @nofriendo I believe BadLands only published the physical retail version of the game, so unless you're gunning for a new copy of the Multiverse Edition, I wouldn't worry about it. Also, wow, that's... really high praise for Celeste. I'll definitely have to get around to it sooner than later. @NintendoByNature Oh, cool. Be sure to post your impressions! I'm more curious about it now. How is Horizon Chase Turbo not on the list?!!! Because only 12 people including me have have rated it. C'mon people give it the love it deserves! It's for sure a top 20 game. Man I just completely forgot to rate the games with my own user rating. Damn. Wouldn’t disagree with most of the top of the list (other than I personally didn’t enjoy the Bayonetta games - had to return my copy as I got easily bored of button mashing and skipping cutscenes). Bore of the Wild, #1? Ugh. I took it back and got a credit for it, I thought it was a terrible excuse for a Zelda game. The art was awful and it had no real dungeons. BOTW is not in the same league as Ocarina of Time or Link Between Worlds. It’s arguably one of the worst Zelda games ever created, and it’s a tragedy that it was released as the only Zelda game for Switch at launch. Of course, your mileage may vary. But I hated BOTW, one of the most disappointing and wildly overrated Zelda games ever created. Weird ommisions such as the world ends with you, tales of vesperia and world of final fantasy. Although i do have about 17 games from this list. Just shows how great the switch library is. And maybe more outrageous, Into the Breach should be on here. Well this kind of topic will and always will be controversial heheh. I've got 14 of the 50. Not a bad list. Shame Skyrim isn't on there. I'm sure my list will change a lot after this year is over. Animal Crossing and Pokemon Sword/Shield will more likely than not be in that top 5, plus Luigi's Mansion 3 and Mario Maker 2 have a good chance as well. Can't wait for the second half of the year to begin! @Lowhangers I didn't hate the game but I do agree that I prefer older Zelda titles over Breath of the Wild. Open-world was fun for a bit but the it just didn't seem like there was enough diversity in the over-world to warrant such a huge world. I felt like I was just walking around a ton finding nothing, which is weird because no one complains about that yet apparently 3 minutes of sailing in Wind Waker between islands is too much. I also wish there were more traditional style dungeons and more story to the game. I felt like more "open" games like A Link Between Worlds and Wind Waker did a fantastic job of letting you explore freely while giving you a fairly linear, captivating story to play through. I'm hoping the next Zelda game is a good balance between Breath of the Wild and older titles. More dungeons and story elements please. Those are the two reasons I fell in love with the series! Dark Souls? Where is Dark Souls? "Bore of the Wild, #1? Ugh. I took it back and got a credit for it, I thought it was a terrible excuse for a Zelda game." It's ok, to each his own. Some people hate Christmas too. @wiggleronacid Well said, I agree. I hope the next one is much better. 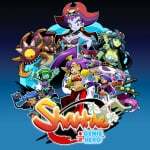 Shantae HGH still described as "could be a bit longer" after having gotten more than eight times its initial content? Guessing they're using some old quotes then. Though I think some games should be replaced with others and some placings should be rearranged, this list really shows what a great library Switch has after only two years. @Lowhangers Oh I see where you're coming from regarding BOTW, but that game's got five real dungeons in it: The four beasts and Hyrule Castle. Making its dungeon count on par with (the admittedly also content light) Wind Waker. Admittedly I haven't finished it yet (maybe I'm at the roadblock you've referred to) but I feel like Axiom Verge kind of cons you into thinking it's better than it is. The music that plays when you begin the game is fantastic, but then it changes and, so far at least, hasn't been equalled. And you unlock abilities quite quickly, which is nice, but once you've done that, and the music had lost its hook, the game seems fairly average and could be any old retro pixel game. Feels a shame, cos I love the music at the start. A ton of top titles missing and a load or Wii u ports which technically arn't switch games. @EvilLucario I genuinely forgot the user ratings were a thing. Unless you are trolling, in which case Lowhangers indeed, I gotta give you courage points for voicing that opinion here. As for me, my opinion may shock you, but BotW is my favorite video game of all time. Top 10 based on hours and pure enjoyment. @BenjShallcross right!? They had Dark Souls as #1 in their RPG list but leave it out here? Get some consistency guys. @nofriendo BOTW is a critically acclaimed masterpiece winning numerous awards, sitting at no1 on Metacritic, has been camping at the top of the eShop charts... a terrible excuse of a Zelda game? Has there been a better acclaimed Zelda game? Chicken Bomb should be top – the game is flippin' amazing! ... Also Poi needs some love. Second best 3D platformer on Switch - despite it's simple art style. @spirit_flame You got the wrong dude in your crosshairs, my friend. While my opinion isn't anywhere near as extreme as yours (I still think BOTW is a great game and gave it 9/10), I was a little bit miffed by all the ridiculously over-the-top "Best game of all time!" hype when I played it. When I think of all the things that make a great Zelda game: dungeons, bosses, items, story, music, characters, etc. I think BOTW falls short in many respects, so I find it odd how so many Zelda fans think it's now the undisputed best one (other than because it's the most recent one). As much as I hate to say it, I generally thought it was quite a bland, empty, soulless experience a lot of the time. When I look back on playing it, all that really comes to mind is just walking from one large empty field into another large empty field. I guess it gets across the idea of being alone in a vast (probably too vast) wilderness, but I'm not sure how fun or exciting that actually is. For me, it just didn't quite have the same magic as other Zelda games, though I do applaud them for trying something different. ARMS and Pokken are on there but Dragonball FighterZ doesn’t make the cut? Sad day for fighting game fans. @Haywired You hit the nail right on the head when you said “bland, empty and soulless.” That’s exactly how I felt playing it, I wish I’d said it that way. Kudos. I think the hype sometimes just gets out of control, and it surely did with that game. But let’s hope we are in for better days with Zelda on Switch. I don’t want to see another game like BOTW released again. Um excuse me Nintendo Life Staff someone made a error in this .FIFA is a "Soccer Game" not a Football Game It's not a big deal but wanted to make sure your aware. Hhm, good list. Have to say that I just don't like BotW. Zelda used to be my favourite Nintendo franchise but BotW will likely dictate the future of the franchise so I am out. Considering it's beloved by so many I can totally see it taking the number 1 spot though. Still haven't played Celeste. The artstyle is really putting me off, but I also want to see what all the hype is about. @LoveEmpath In Europe we call "soccer" football and "football" we call American football. No Into the Breach. No Wargroove. No Horizon Chase Turbo. Three of the best games I've played full stop, let alone on Switch. Still, just a bit of fun, and otherwise a good list! @nofriendo Apologies friend, my device get overwhelmed on this site. Looking at what you wrote, I am in agreement about BOTW. @Wesker well fell very free to just call it Soccer it's the right thing to do. @LoveEmpath There are plenty of American Nintendo sites you can view if the word "football" is annoying you. Should I really be surprised that Nintendo IPs took the top 3? Not a bad list at all but I'd personally put in Warframe, Monster Hunter GU, Wargroove, World of Final Fantasy and Diablo III on that list. I'm glad to see Oxenfree, Golf Story, Octopath Traveler and Disgaea 5 on there tho. And yeah, Xenoblade Chronicles 2 is still my number 1. @RainbowGazelle it's not about it being annoying I'm just correcting mistakes.So that other people can learn from them. @Ralizah If I had a few more brain cells I’d’ve known that about BadLands. Thanks for clearing my conscience! @mr_me450 Consider that this is "as voted by you lovely people." So it's a popularity contest and of course Nintendo's own IP will have a HUGE advantage. So a game like Pokken Tournament is make it just on name recognition alone despite the fact that (and I'm basing this on the Wii U version, I'm not going to get tricked again) it's the worst fighting game I've played in years. I wouldn't argue too many other games on the list, but you can definitely see how it's an uphill battle for even amazing 3rd Parties to get on the list. Cuphead!!! Will be on here in time. Gears of War on Switch??? @GameOtaku No. Nintendo makes some truly excellent games. Poor old Mark of the Ninja gets no love. So underrated! @n_malo I agree, but Celeste is fine. @datamonkey For sure it was a great game. @LoveEmpath Most of the world calls it "football," and it's a UK-based site, so no mistakes were made. While it's a bit slow to start, I think Xenoblade Chronicles 2 is an under-rated gem. I had a lot more fun with it than Breath of the Wild...and actually played through to the end...more or less forcing myself to stop doing side content so I could wrap it up and start attacking my backlog that I had so neglected. Even now, I am forcing myself not to jump into Torna because I know all the other games I'm working on now may slip into backlog purgatory forever if I take that up. Seriously...all three Xenoblade games are amazing in their own right. 3/3 I am a true Monolithsoft fanboy now. i'm surprised Steamworld Dig 2 and Mario + Rabbids aren't higher up the list, they are both fantastic, i enjoyed Steamworld more than Axiom Verge. I'm really surprised Wolfenstien isn't on the list, I think it's better than Doom. I would also have included Thumper and Little Nightmares. Y'all's adoration for Axiom Verge is strange, but fun list. @NintendoByNature You should try out Celeste, but it may help to adjust you expectations. I got it on PC after the initial hype for it became too much for me to pass up. It is actually a very niche game as it falls into the “twitch platformer” genre, which is not really my cup of tea. For me the level design was good but very predictable (presentation of new skill- practice- mastery- repeat- repeat- repeat again). Good for 13-14 bucks but no masterpiece in my opinion. @Ralizah The United States customersfinancially supports Nintendo the most creating by extension more content for this site so this is by extension of that a United States dominated website.And most of the world isn't the United States the country that inspired and fought for the democracy you live in and if it says Soccer then the least you could do even though you should already is say Soccer too. @Bobesz Your aware that The United States is the reason FIFA exist right? @nofriendo Nope, no trolling. That’s how I feel about it. @NotTelevision interesting. I often find myself not liking games that are universally praised but ill give this one a look. I feel like you need to go in games with no expectation to see what you actually think as opposed to hearing what the gaming sites are saying. This way you can develope your own opinion ya know? 41 out of 50 for me, and love every one of them. Great list, though I'm disappointed more people didn't rate/play Ys VIII. I'm glad there are some Wii U ports and indies on this list. Nice to know that all the folks always spewing negativity over Wii U ports and even good Indies are just in the minority. Is it too soon to add Yoshi’s Crafted World to the list? It’s quite good. Maybe not top 25, but definitely a good one. You guys should do Wii U next. Diablo 3 is clearly better than at least #50. @LoveEmpath Wow. That is some inventive reasoning for being intolerant. Geez, I mean the list is fine but there are so many great games missing. Testament to the library I guess. 27/50. Less than I thought! 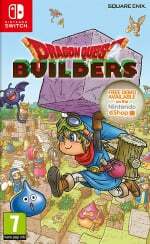 Dragon Quest Builders is better than Minecraft. This is a decent list and a good reminder as to how solid the Switch library really is. Some of these games I’ve disliked, some I’ve thoroughly enjoyed - but they all add something to the table. I’m most excited to see that this list includes a very good mix of Nintendo IP and other developers. Where the heck is Xenon Racer, WWE2k18 and Vroom in the Sky?! These are my favourites from the top 50, plus some not included at all. Xenoblade Chronicles 2 should've been higher. I think the site should also do the 50 worst Switch games as well, to help stop people getting their fingers burnt by picking up some hot garbage. Rather than discussing the exact order of the games, I'd just like to say once more that I am in awe at just how many quality titles are out on Switch after just two years. I don't think anyone would have predicted this. 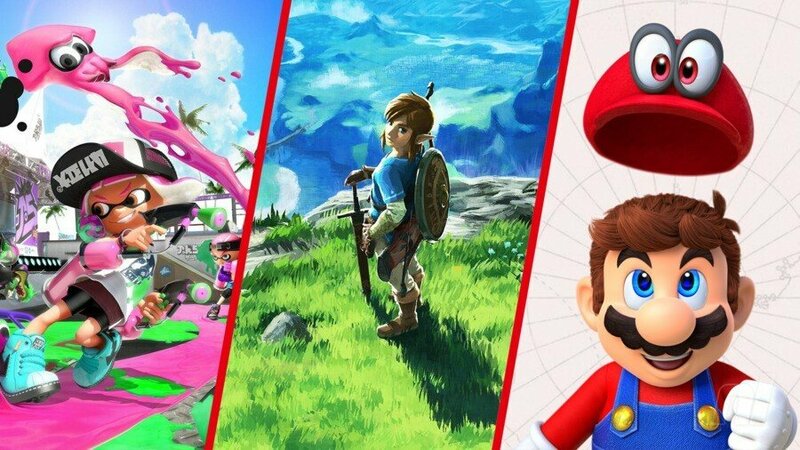 Even if you aren't a fan of the Wii U ports, they're undeniably great games, that Switch owners are better off getting a chance to play, than had the opposite been the case. Here's to another two spectacular years! Xenoblade 2 is in the top 10. All is right in the world. But I REALLY wish there was a way to see the list without having 5 pages to go through. @Heavyarms55 But then how will we be able to see the extra ads?!?!?!?!? I so wish I could get into this version of Zelda, but I have never seen a game that seems so hellbent on making me not want to play and enjoy it. Having too much fun climbing? Sure we will annoy you with lack of stamnia. Enjoying a new weapon? Np, we will break it after a few fights. Enjoy crafting? Here, let's make that cumbersome. Enjoy dungeons? Don't worry exploring have been replaced by kind of mini-puzzles. Different enemies? Nah. Annoying bosses? Check. And at the same time I really want to explore the open world, it's just not fun for me. At least I have Skyrim then. But many great games on the list. It's really impressive. N+, Warframe and BattleChasers are personal favourites, but I guess not for most. @Zuljaras On the side of the screen as we scroll down. Simple. @Swiftstorm I couldn't agree more. Weapons breaking, having to cook food, losing health in cold climates, drowning after a few strokes, climbing limits, gliding limits. It's enough to make me give up - which I did within a few hours. I've tried to pick it up several times, but have no idea where to go - so end up wandering aimlessly until I drown/freeze/starve or whatever. Yawn! @Heavyarms55 that way they refresh them I guess. New ads etc. More views. Nice stuff! @LoveEmpath You are aware that Europe is the reason the US exists right? @Zuljaras coughadcoughblockercough Yeah I suppose. Stardew Valley would be in my top 5. Back in the day I used to imagine what'd it would be like if Bethesda games were on a Nintendo console. So I'm happy to see them there. Now if only we could get Morrowind Oblivion Fallout 3 and New Vegas I'd be so happy. @Ralizah I thought the same thing. The two Valkyria Chrinicles games are my #2 and #3 after BOTW. I was surprised they didn’t make top 50. It's football to everyone except Americans. Stop digging. Nothing to be proud of. Seriously, stop digging. @daebiya these are user ratings, you know that, right? @RainbowGazelle you think that the United States existing is a joke what's wrong with you? Seriously the little machine has only just turned 2 and look at all these awesome games plus the others gems not even in this top 50. I echo the cries of “where art thou Wolfenstein?” for sure. Love that game. I’d have rocket league a little higher mainly for the hundreds and hundreds of hours I’ve put into the game! Finally getting up to diamond! Lots of pixel games and old ports in the list nobody would care about on pther platforms. Big thirds still be missing. How can you assume that this is a great library? Nobody seemed to agree or disagree with golf story, it's just the game that got ignored for some reason. It's one of my favorite unexpected surprises and just so delightful. I wish nintendo would make a proper new mario golf and get the developer to do a retro style companion game. Mario tennis aces isn't terrible, I don't regret the purchase despite the online community being nearly dead, but they seem to have lost the magic touch on their sports games. I guess in Europe we should also abandon the International System of Units and start measuring miles instead of kilometers, after all, the US is the reason the whole universe exists, isn't it @LoveEmpath ? That's a decent list, but Starlink is taking both 41 and 40th places, please correct that ! Where's Monster World? One of the best game I've been playing for a long time. @LoveEmpath??? Well, this has been interesting. Did I just read over it or does Okami HD miss on this list? Arguably one of the best games ever and it plays smoothly on Switch with probably the most and best control options yet. Honourable mentions to Rayman Legends, Mario Kart 8, Captain Toad, Guacamelee 2 en Celeste. I could go on and on: the Switch is such a fantastic platform. I recently even found out that the wishlist caps at 200; now I can't add any more games. EDIT: I just noticed the list is incorrect. Night In The Woods has an 8.2; way higher than the 7.6 userscore of Pokken. EDIT2: Oh you only count games that are rated 50+ times. That's lame, kinda makes it a "most popular games" list rather than best-rated list. Anyone complaining that game X is missing - go rate it! They are only including games with more than 50 user scores. A few of my favourites have less than that. @LoveEmpath I've never heard one of these people from the EU/UK "correct" me about not using the "correct term" for soccer. You might extend them the same courtesy. Insisting on other peoples adopting the trappings and language of your culture is a poor way to make friends. Unless you're just trolling, of course, which is always possible. @citizenerased I think they want to avoid a situation where two people rate a game a 10 and bump a game up to first place (for example). They want a minimum amount of data so that the results are at least somewhat representative of the community's feelings. ...still, there are SO MANY fantastic games on Switch that no list will ever include everyone's favorites (not to mention the CRAZY fact of how different people like different kinds of games). Now I mostly just wish I had more time to try them all. Or most of them, at least. "If BotW is #1 I will die"
Haven't played Yoshi's Crafted World yet but expecting it and Mario Maker 2 to knock Eevee and Zelda out of my top 10. @Yoshi_Kong A lot of people REALLY love BotW, myself included. Expect it to stay in first until a similarly ambitious Zelda game releases. @LoveEmpath And "football" as an organized sport originated in Britain. Oh goodness can we not start in on the US just because we have one person from Eagleland in the comments? The rest of us know this is a UK site. Anyway interesting list. I do own a large number of these games and I am curious again about the ones I don’t. Glad BOTW got top spot. Such a great game. @Whalehome Dark Souls hasn't had enough ratings on the site to be eligible yet (A minimum of 50 is required). The same is true of Wolfenstein, Okami, Horizon Chase Turbo and numerous other well received games mentioned in these comments. So if you want them up here, rate your favourites high, whilst encouraging other like-minded people to do the same - it's the only way, people! Definitely didn't expect it there. I haven't played it myself though. Not surprised thst BOTW was I firsr its the best legend of Zelda games I have ever played I'm pretty sure i speak for everyone when I say amazing job nintendo. Well done on the beautiful creation you have made.